From today. The bird in question is the one with rufous coloring and black legs. My first call was a Western, but the more I look at it, the less sure I am. The rufous seems too low on the wing (not up on the scapular); the bill might be too short; and the rows of white dots on the wing don't "read" right. 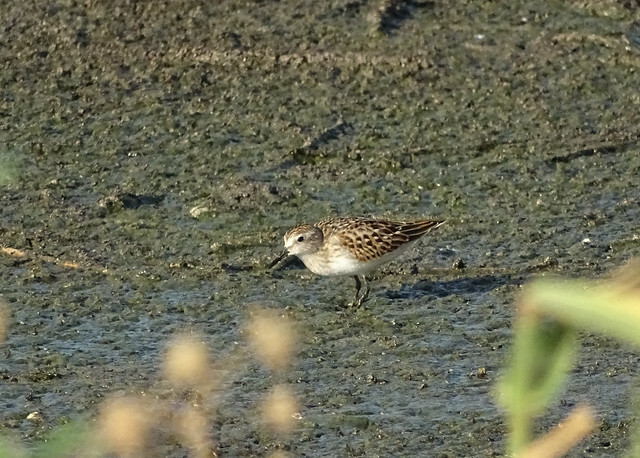 It seems possible that it's a Least Sandpiper with muddy legs (If so, it was somehow one of 30 at this location to not keep its legs clean this morning). 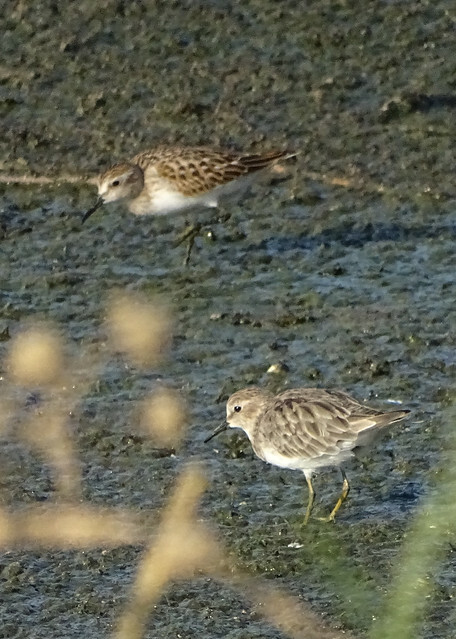 I've included a second shot that includes a non-breeding Least for comparison (I think). Rather confused. That looks like a juvenile Least. If you look closely at the first shot, the legs look "lumpy" and there's a bit on the upper part of the right leg where it seems to disappear, indicating that there's some paler color there. Sounds good, psweet. Thanks as always!